Quick and simple organisation of files, magazines or literature around your home or office is made easy with this Q-Connect Magazine File. 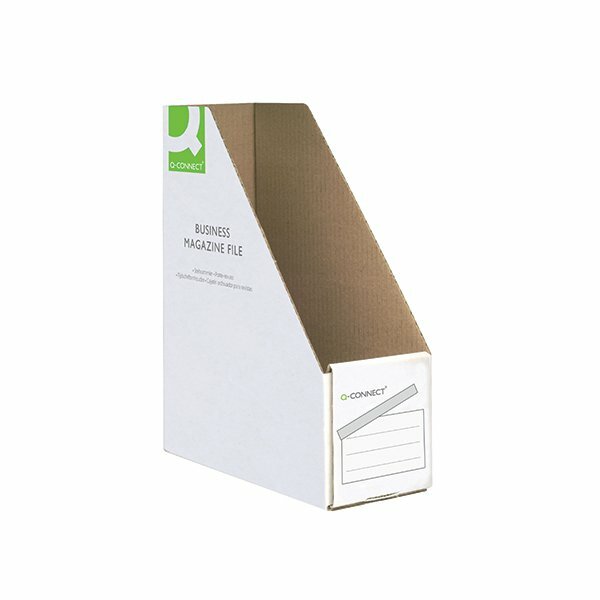 Made from 100% recycled materials, this magazine file is functional, as well as environmentally friendly. Labelling space makes identification of the file's contents at a glance quick and simple, keeping your office organised and ordered for a more efficient working day. This pack contains 10 ehite magazine files measuring W100 x D230 x H300mm.